The Ministry of Mines, Industry and Energy of the Republic of Equatorial Guinea, on behalf of the Delegation, looks forward to welcoming business leaders, investors, as well as political leaders from the United States and the African continent to the event that will be subsequent to the U.S.-Africa Leaders Summit to be hosted by President Barack Obama in the Nation’s Capital. The Economic Forum will host a panel of distinguished Government Officials, all of whom will be sharing information about the resounding economic activity that the country is currently experiencing; including the accomplishments of the President’s Horizon 2020 program, and the next steps towards reaching the objectives of PEGI 2020. The impact of social programs executed in partnership with US corporations, such as the Marathon Oil led Bioko Island Malaria Control Project, HESS’s Program for Educational Development of Equatorial Guinea and Exxon Mobil’s Bioko Biodiversity Protection Program, on the health, education and environment of Equatorial Guinea will also be covered. The Economic Forum will provide insight on the Country’s commercial activity, present investment opportunities, and introduce investment incentives to attendees. Equatorial Guinea will bring experts from several economic sectors to showcase the different opportunities that it has to offer, to accelerate economic transformation and maximize the Country’s resources. Presentations and discussions from government representatives will highlight the government’s commitment to fostering an enabling environment for foreign investment from the United States. H.E. OBIANG NGUEMA MBASOGO, President of the Republic of Equatorial Guinea. Agapito Mba Mokuy, Minister of Foreign Affairs and International Cooperation. Gabriel Mbaga Obiang Lima, Minister of Mines, Industry and Energy. Valentin Ela Maye, Vice Minister of Economy, Planning and Public Investments. The first ever Canada-Africa Business Summit will be taking place September 15th-18th, 2014, in Toronto. As the leading Canada-Africa membership organization, CCAfrica is an essential resource for Canadian companies doing business on the African continent. CCAfrica’s conferences have been regarded as essential networking events. Washington, DC, April 10, 2014 – “Africa’s Infrastructure: Maximizing Your ROI” aims to bridge the gap between U.S. and African financial institutions, African Finance ministers and Central Bank governors. Offering two informative panel sessions and leading industry keynote speakers, this half-day forum will focus on the strategic role U.S. financial institutions can play in establishing themselves and financing projects on the continent. Attendees will include African Finance ministers, Central Bank governors, key U.S. and African financial institutions and private sector players, such as investment and commercial bankers, as well as hedge fund and private equity managers. The Forum will conclude with a cocktail reception, allowing attendees to maximize networking time and connect with potential partners and key players. Program: 2:00 p.m. – 5:30 p.m. Reception: 5:30 p.m. – 7:30 p.m. Please register by COB on Tuesday April 8, 2014. More information follow this link. The Pan-African Council (PAC) has officially launched its new website on April 2nd, 2012. With an entirely new look and updated content we hope to strengthen the organization’s identity and visibility across the globe. The new site is more comprehensive and accessible and comes equipped with more intuitive functionality, thus serving as a modern and efficient tool for its visitors. The realization of this new website represents an important step towards improved integration of the latest information resources, with a view to facilitating communication and dialogue between the Council and its interested parties. Several sections of the website are still under construction, however in the near future we are planning an introduction of additional tools and services, if you have any questions and/or suggestions, comments or concerns please contact us at info @ panafricancouncil.org or through the contact form. 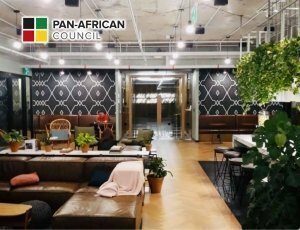 The Pan-African Council (PAC) is seeking to unlock the stream of possibilities for young people interested in the development of the African continent, the diaspora, and their respective communities around the globe. As Council members, we believe it is possible to base the bilateral relationships on common ground across Africa and the diaspora in order to reap the benefits of cooperation on a broad array of issues: economic, cultural, environmental, scientific, public health and international relations.